The New Year is already beginning to lose its novelty. Business is back to usual, good intentions forgotten and winter is in full bloom. a good reason to get a good variety of pictures as well. Not that pictures will change from winter to spring by the day, but still… change there is. 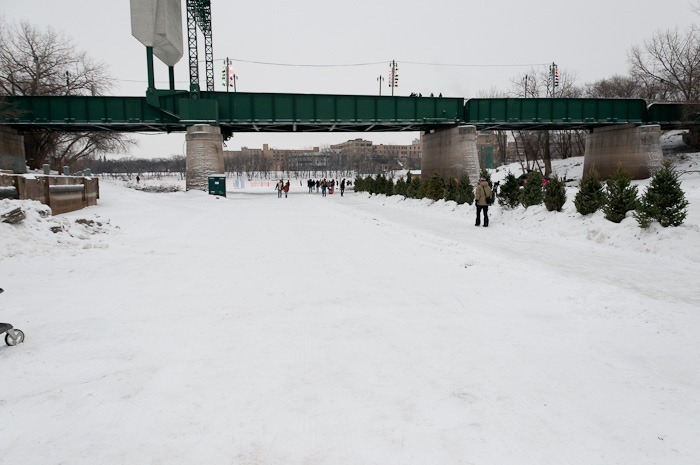 Take a look at the rivers, some of them are not even completely frozen, while the previous years they were converted into skating rinks. 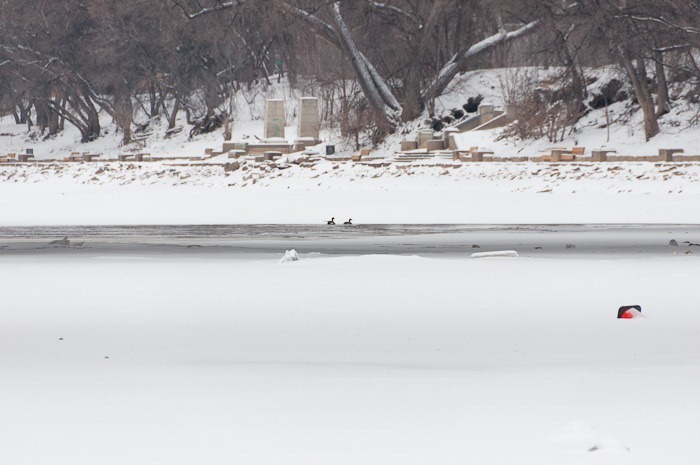 These ducks are not complaining, they still have enough place to find food and swim around. I would mind the freezing water, but apparently, they don’t. Discarded pieces of building ice make for interesting subjects, provided the pictures are treated properly. Overexposing pictures in winter should be done. Otherwise all photos seem greyish and bland. Any camera will try to give you 18% grey instead of the pristine white image you saw with your own eyes. What were these building blocks for, you might ask? Well, in Winnipeg we have natural skating rinks on the rivers. People also need to change and warm up a bit from time to time. The above “warming” hut is intended for skaters to change into their skating gear. The river itself this year looks great and thick with ice, but only a small portion of the ice is reliable and thick enough to allow masses of people on it. The rest is closed off. In the background you can discern the orange barrier. 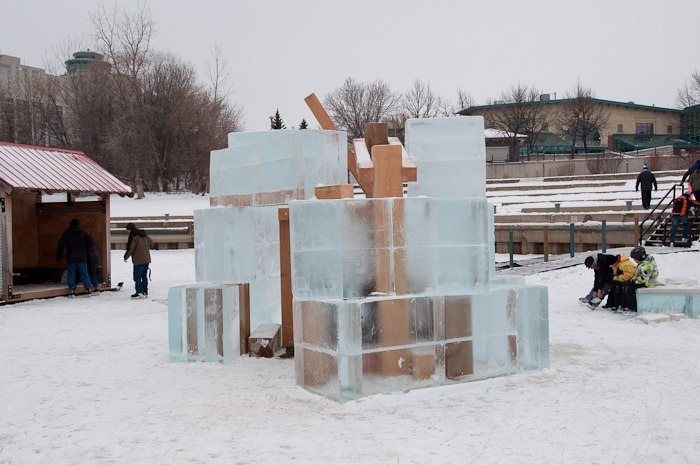 Soon the Festival du Voyageur will be back in town. Preparations are already underway and some activities are already open to the public. 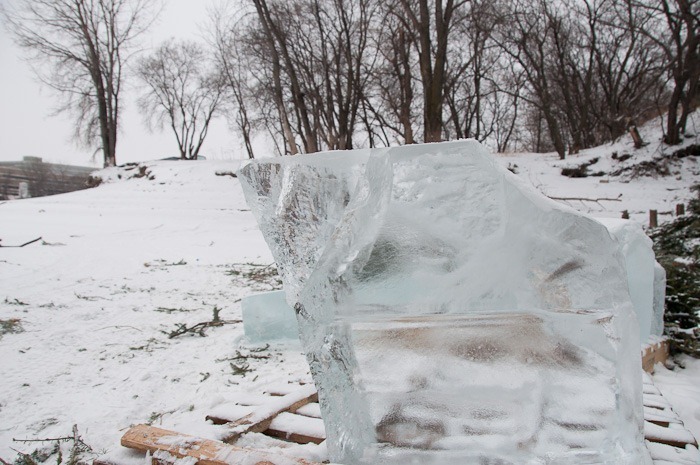 Here, the ice painting is already in full bloom. 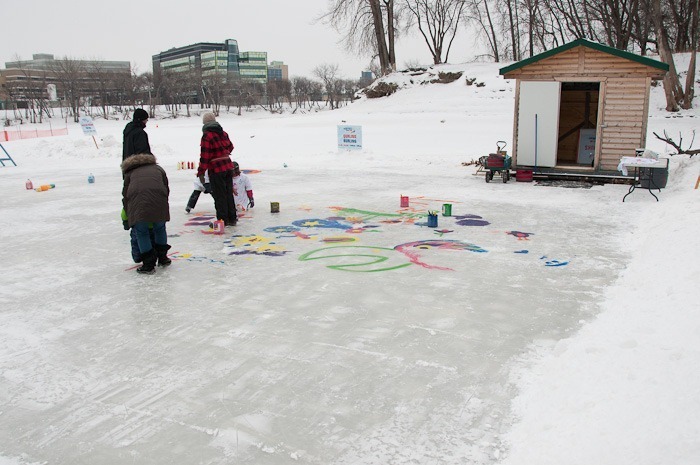 Kids painting the ice with harmless colors. For those who are a little more chilly, there is hot chocolate and some meat, roasted above a wood fire. If you ask me, this looks like a piece of chicken skin, but I can be wrong. 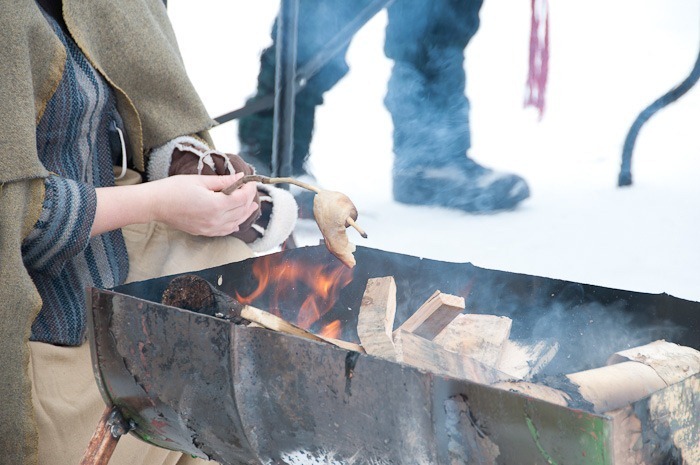 The lady grilling this is dressed in original Voyageur clothes for the occasion. 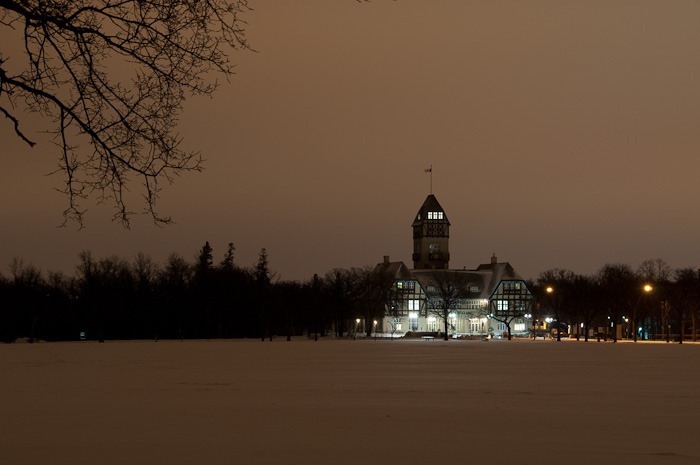 When it is winter, people expect the Auroras to show up in Winnipeg as if it were located near the polar circle. Well, Winnipeg lies on the same latitudes as Brussels… So “up north” does not apply to Winnipeg. However we do get to see the auroras from time to time, since the North Pole is located on Canadian territory. This time the Northern Lights were not as big as we had hoped, but still they were there. Other mornings, however, even with a lot of solar activity causing auroras, the view was not as spectacular as expected or as advertised. 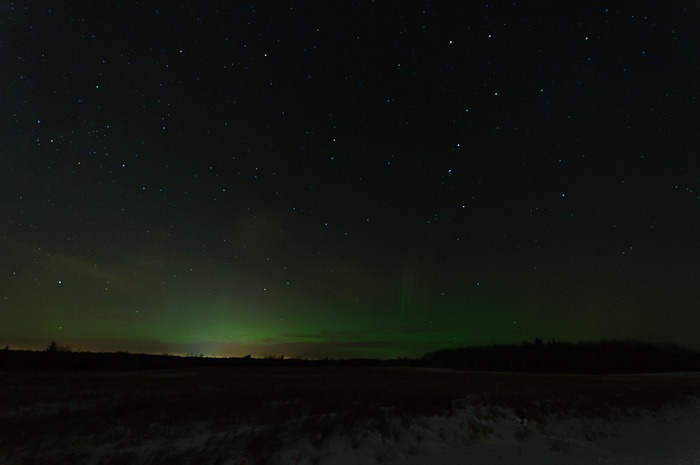 Often this winter, the auroras were hidden behind a thick cloud cover. Not that the pictures were less interesting, but once auroras are promised, you don’t want to settle for nice clouds. In the mean time, the animals in and around the city seem to be enjoying the clement temperatures. 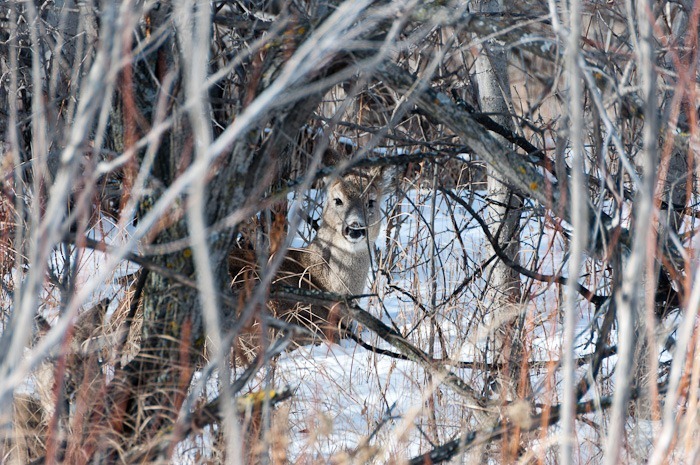 Deer at Fort Whyte Alive are as active as usual. The only thing you need to capture them is a long lens and a bit of patience. Hummingbirds are more difficult to catch. The trails in FWA are all open to the public, in other years, many of those would be closed due to the thick snow cover. 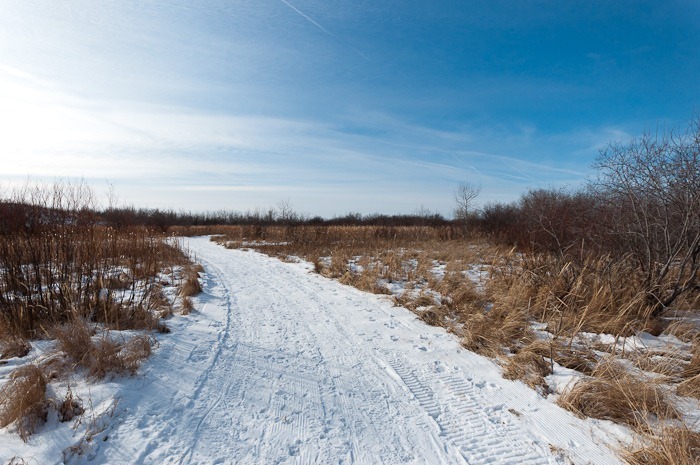 This year, most trails are open, some of them converted to cross country ski trails. And the birds? Well, some of them have moved south and some have stayed here. 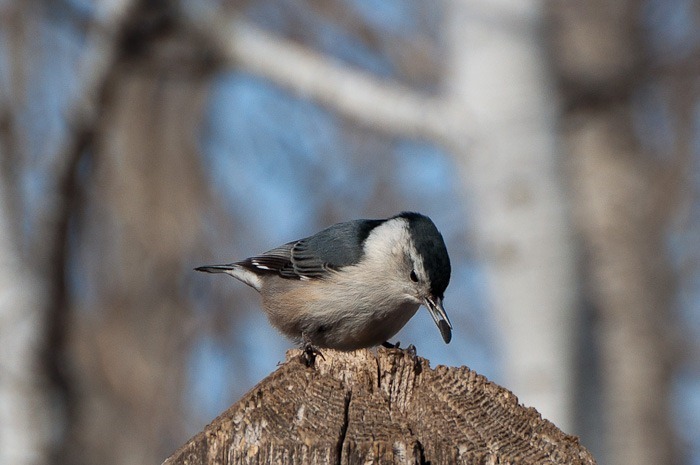 This Nuthatch is still here and will most likely remain here for the rest of the year. 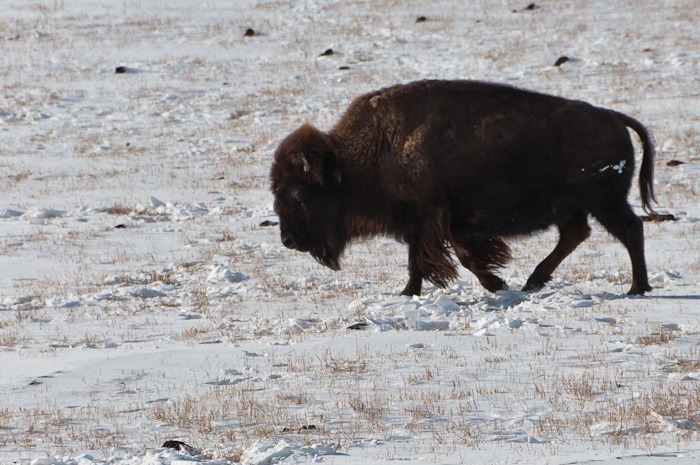 They only migrate under extreme circumstances. And with the feeders full of seeds not far away, they have no shortage of food for now. So what about those eight percent I put in the title of this post? Well, one month out of twelve is already finished. That makes eight percent of the year .